The risk of ads being served next to content deemed inappropriate to brands has actually decreased globally from the first half of last year, from 11.2%, overall, to 8.9% in the second half of 2016. This is despite the awareness generated by the ‘ads funding terror’ crisis earlier this year, and the ongoing boycott of advertising on YouTube. "With the rise in discussions around fake news, ad fraud, and brand safety, marketers need to demand greater transparency," Nick Morley EMEA managing director for Integral Ad Science commented. The recent headlines have increased awareness of these issues, highlighted clear areas where improvement is required, and reinforced that context is key, he added. "Everyone in the industry has a duty of care to address brand safety issues, we’d encourage all to do their part and use third party verification technology." 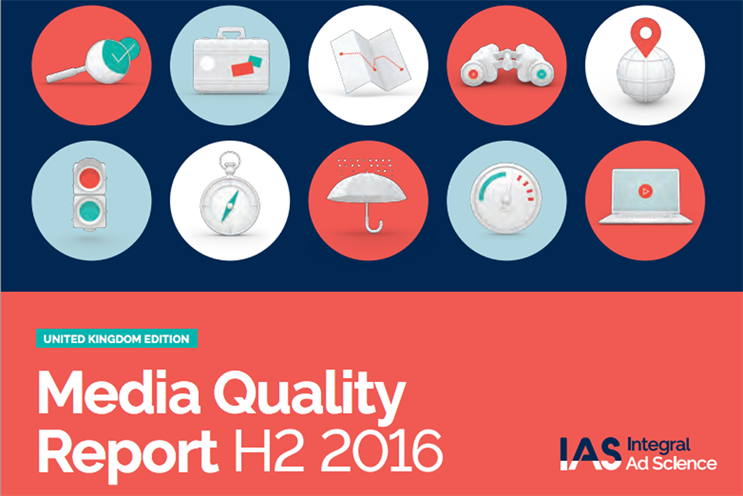 The results are from the latest Media Quality Report from Integral Ad Science which analysed ad fraud, brand safety, and viewability trends for programmatic and direct advertising. The report is based on insights collected from over 100 billion ad impressions analysed globally between 1 July and 31 December 2016. The report also showed that video viewability has significantly improved, increasing from 40% in the first half of last year to 58.2% in the second half of 2016. Video completion rates likewise improved from 26.7% to 35.1%. In the UK, the overall rate of ad viewability, as defined by the Media Ratings Council was 49.9%. When analysing rates of ad fraud in the UK, Integral Ad Science found a stark difference was found between campaigns using ad fraud prevention and those that did not. Advertising using prevention technology saw ad fraud rates of 0.3%, compared with 4.9% when no fraud prevention measures were taken. Globally, homepages were also found to attract higher rates of ad fraud, up to 88% higher than article-specific pages.